I would like to receive occasional information and updates from Sacha fund and jumblebee. This is Sacha. 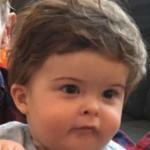 He has a rare genetic disorder called 2q37 deletion syndrome. This means that he is likely to grow up with both cognitive disabilities and physical difficulties. Intensive early intervention on both physical and cognitive levels can be very effective at improving long-term prospects, but it is not available on the NHS. 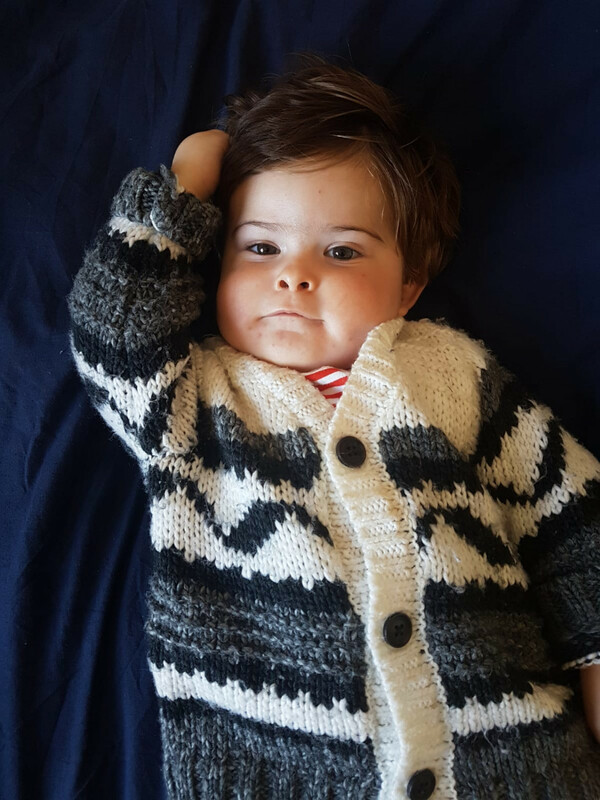 Sacha's parents and a team of volunteers are thus fundraising to cover treatment , in the hope that acting now will help minimise some of the more disabling effects of Sacha's condition. Anything we can raise beyond what is needed to cover the costs of early intervention for Sacha will be donated to charities that will provide it to other children in similar circumstances. A whole block-booking at Under the Bridge, worth £62. 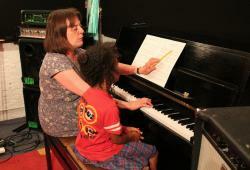 1 term of Moving On music, stage 1—for older active little ones and school age beginners. Singing, counting, starting to read music. Listening games and lots of action. This is the second level up above Da Capo baby music. 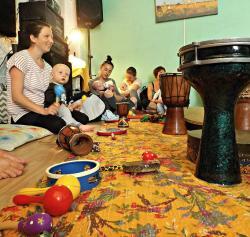 Under the Bridge's award-winning Baby & Toddler music classes are a hugely successful venture to engage the fertile minds of very young people in music making, and stimulate their creative senses early on. The introduction of music, rhythm and dance in a child’s developmental years has been shown to greatly improve verbal and physical skills, emotional development, confidence and learning abilities. Da Capo has been the highlight of Sacha's week since he was around 4 months. 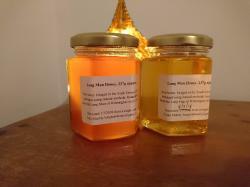 Two jars of 237g Long Man natural honey—one early and one late summer harvest—from the same hive near Alfriston. No chemicals are used and the honey is unpasteurized, so has all the beneficial properties in tact. Shiatsu is a Japanese form of bodywork, given fully clothed working with principle energy lines and pressure points to alleviate a number of different ailments. Excellent for relaxation, anxiety, stress, sore muscles, back aches and pains, neck and shoulder problems for example. Known as ‘Da Capo’, meaning ‘from the beginning’, these lessons established Under the Bridge as a driving force for supporting young people in our beautiful city, as well as many of the musicians that have come to the fore since our first wave of young students over twenty years ago. 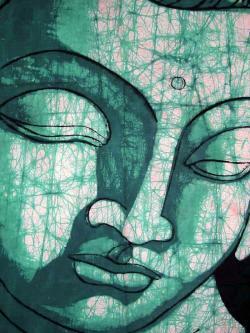 4 x classes Kundalini Yoga and meditation Mondays 6.30-8pm. Kundalini Yoga and meditation to awaken the heart, strengthen the body, master the mind and build a stronger relationship with your authentic self. This offer is for a lesson a week for a whole year—worth almost £800. Jackie has been teaching piano for 30 years, and is the local rep for the Associated Board of the Royal Schools of Music. She loves teaching all ages. 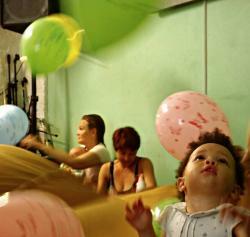 So whether it's for a small person or you fancy having a go yourself, all abilities and paces will be lovingly handled. Turn your family video clips into a music video! What Baby Did turns video clips of your children into a music video using a song of your choice. I began filming my two boys when they were very small. It was much easier to watch them getting bigger and growing up knowing I’d captured those precious moments. I ended up with lots of random clips clogging up my phone, so I turned them into music videos. My children love to watch themselves over and over again. I think they can feel the love and I’m so glad we can keep that feeling forever. 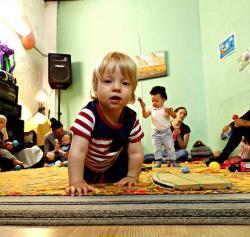 1 term of Mini Music—for active toddlers ready for running around and listening/watching games. This is the next level up above Da Capo baby music. Ballet, tap or musical theatre classes for a child aged 3+ at Turning Pointe School of Dance, based in Lewes, Hayward's Heath and surrounding areas. 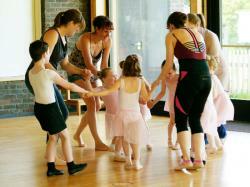 Ballet classes run in Hayward's Heath on Mondays and Saturdays and Thursdays in Lewes; tap classes on Fridays and Saturdays; and musical theatre on Fridays. Classes can be taken in either the Spring or Summer terms. Please contact turningpointenisa@gmail.com if you require any further information. 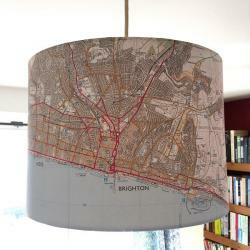 A handmade lampshade created from an Ordnance Survey map of Brighton. The lampshade is 25cm in diameter and will fit a standard ceiling pendant light.